Risks – strategic, operational and regulatory ­– are inherent to any business process and decision. In fact, the role of the Manager is to manage the ‘Risks’ – to take some and move ahead with due caution, and to ensure avoiding some. A focussed assessment of ‘Risks’, especially the ones with high probability and impact, is essential to enable managers to chalk out the mitigation actions, backed with appropriate resources and prioritization. This is where trained risk professionals can add immense value. As of now, there are hardly any trained risk professionals in India. The Global Risk Management Institute (GRMI) initiative to address this vacuum is a pioneering step and will be of great value to the Indian industry. Based on the current status and experience, the Indian industry is waiting to welcome professionals with specialised academic qualifications and practical experience to assist the enterprise leadership team in evaluating and mitigating business risks. 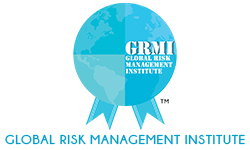 The GRMI programme and the curriculum are unique and relevant globally, backed as they are by an experienced faculty combining the best from academia and the corporate world. It aims to create a platform for formal training and career opportunity with very strong placement potential in a space with near zero supply to infinite demand. He is a former President of the Confederation of Indian Industries (CII), President of the Association of Indian Automobile Manufacturers, and Vice President of the Tractor Manufacturers Association. He has been associated with various Central and State Government bodies and committees including the Technology Development Board, Insurance Tariff Advisory Committee and the Economic Development Board of the State of Rajasthan, Himachal Pradesh and Madhya Pradesh. He has been closely associated with various IIMs, IITs and other Management and Technical Institutions, as also with a number of NGOs. He was a member of the Board of Directors of IIT Roorkee, IIM Indore, IIM Lucknow, State Bank of India, Power Finance Corporation etc. He is currently a member of the Board of Governors of IIM Kashipur, and XLRI Jamshedpur. He is currently the Independent Director Chairman at Tata Communications Ltd and Wartsila India Ltd, and Director on the boards of several companies including Tata Motors Ltd, Tata Steel Ltd., Larsen & Tubro Ltd, Tata Communications International Private Ltd., and Sun Borne Energy LLC. Mr. Bhargava is the recipient of the “Gaurav Shri Award” from Agra University in 2011, “Best Independent Director 2011” by Asian Center for Corporate Governance & Sustainability” “Global India Business Leader of the Year 2013 by Horasis (The Global Visions Community) for excellence in entrepreneurship, innovation and leadership.